So it’s Christmas Eve!! Just enough time to put up another holiday themed recipe. Cringe. Today I come bearing the gift of my Vegan Gingerbread Pudding Pots. This is a dessert you can whip up in under half an hour and have ready to serve after just a few short hours of chilling. Perfect for lazy dogs like myself who do everything last minute! My Gingerbread Pudding Pots involve no cooking whatsoever, which is awesome when you’ve probably already got a sh*t ton of Christmas cooking to do. All you need is a blender and you’re ready to go. I blend up Cashews, Soy/Almond Milk, Golden Syrup, Molasses, Ground Ginger, Ground Cinnamon, Ground Cloves, Vanilla Bean, Sea Salt, and Coconut Oil to make my pudding mixture. All the classic flavours you would find in a traditional Gingerbread Cookie recipe, doh! Oh, and don’t go substituting Agave Nectar or Maple Syrup for the Golden Syrup. Just freaking don’t, okay? I also crush some vegan Gingernut Cookies and sprinkle some on the bottom of my pudding cups before filling them with Gingerbread Pudding. It’s all about the fu*king texture, people. And as if that wasn’t enough, the whole thing is finally crowned with a dollop of Whipped Coconut Cream, more biscuit crumbs and a drizzle of Golden Syrup. Sounds good, tastes good, easy to make, what the f*ck are you waiting for?!? You probably have all the ingredients that you need to make this at home already as well, so get cracking! 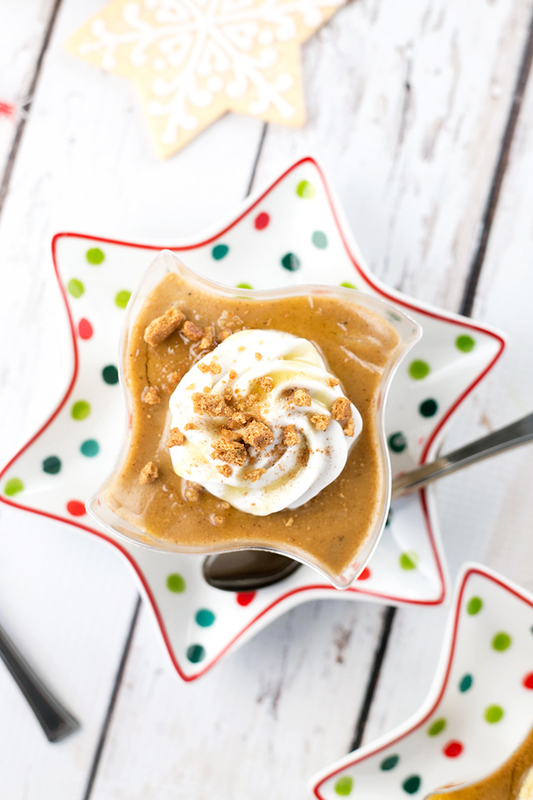 Scroll down to grab the full recipe for my spicy, creamy, Vegan Gingerbread Pudding Pots. See you next year! Creamy Gingerbread Pudding with a Cookie Crumble bottom and Whipped Coconut Cream Topping. 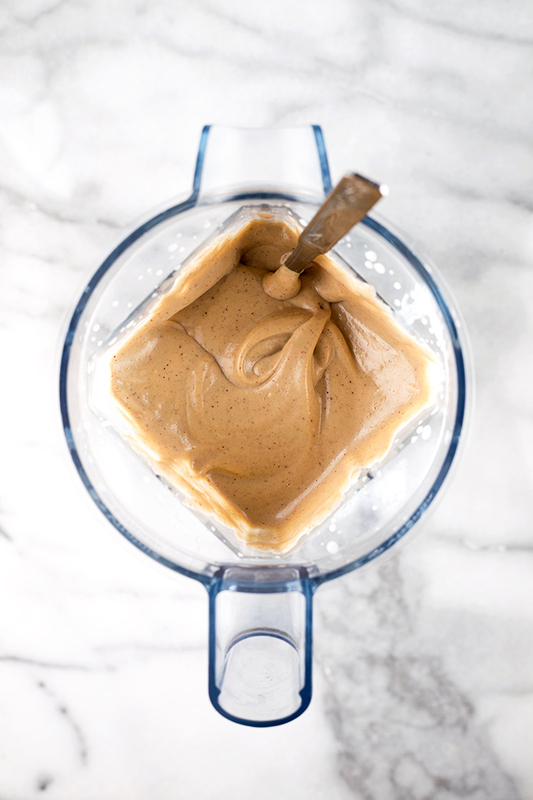 Prepare Gingerbread Pudding by blending all ingredients in a high speed blender until smooth. This may take a few minutes and require you to scrape the sides of the blender down occasionally as the pudding mixture is thick. Meanwhile, scatter crushed Gingernut Cookies into the bottom of dessert cups or whatever vessel you are serving your pudding in. Once pudding mixture has blended smooth, transfer to cookie filled dessert cups, smoothen out and allow to set in the refrigerator for 3-4 hours or till cold and thickened. Just before serving, prepare Whipped Coconut Topping. Open your can of chilled coconut milk and scoop out solidified coconut fat. Use leftover liquid coconut milk/water for a soup or smoothie later on. Transfer coconut fat to a bowl with Golden Syrup. With electric beaters, whip until coconut fat is fluffy and resembles whipped cream (a few minutes of whipping is all you need). Dollop whipped topping on chilled puddings, and drizzle with more Golden Syrup before scattering more crushed Gingernut Cookies on top. Do you soak the cashews first? I'm not a vegan but have been making desserts for my coworkers and a couple of them are vegan so all of the cashew recipes I've made in the past I needed to soak the cashews overnight. Hi Katherine, I usually don't bother soaking them as the recipe incorporates enough liquid for the cashews to be able to blend smoothly :) I used to soak them as well but in recent years have skipped the step! Great, thanks! I'm making this tomorrow and am so excited for it! I have never had Gingerbread Pudding before. That sounds really delicious! I love that this is so simple to make... No cooking involved! But now to go and find some Golden Syrup. I've been looking for some vegan recipes to make for a friend of mine and these look delicious!! Woah, this looks delicious!! Just perfect for this holiday season! 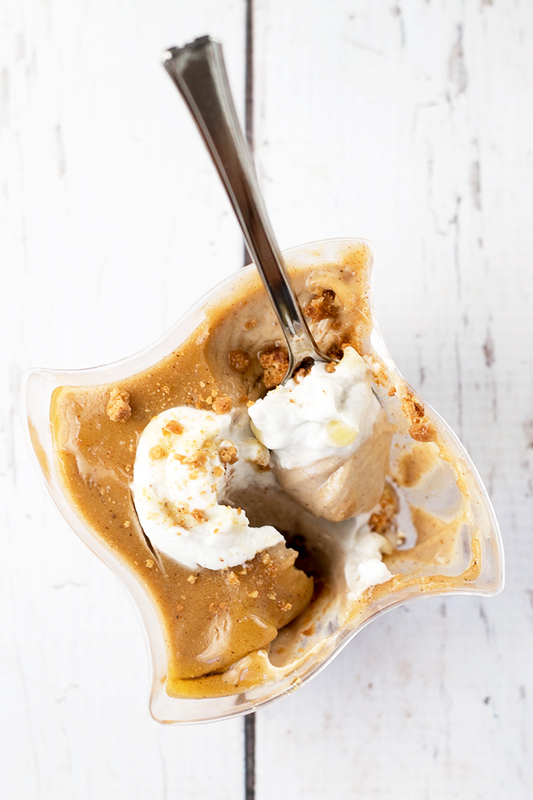 The ginger and molasses are selling it to me.This looks perfect for a healthy winter treat! I'm not vegan but I might give this a try! I gave all of them away to non vegans and they didn't even know :D try it! 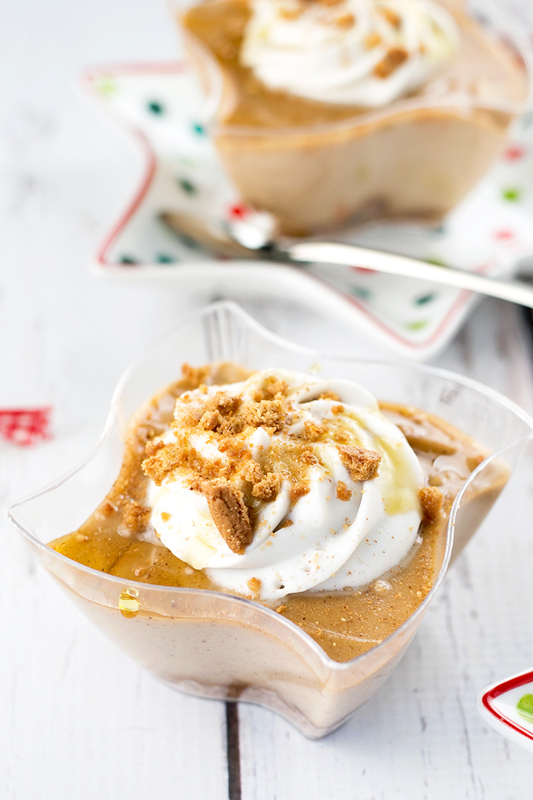 These gingerbread pudding pots look deliciously good and so holiday-perfect!!! These look amazing and I can't wait to make them for my dinner tomorrow! Keen to know if you enjoyed it, Kathy! Great photos! Your recipe looks yummy! Merry Christmas! This looks like a delicious, healthy and festive dessert! Great photos! This recipe looks yummy!